On Sunday, September 2, 2018, at Halquist Hospice in Arlington VA. Beloved wife of the late George Bartlett Faulkner, loving mother of Barbara J. Faulkner, Beverly A. Faulkner, and William R. Faulkner, and devoted grandmother of Todd Faulkner Harris. She is survived by two sisters, Evelyn Brooks of Granite Bay, CA, and Beverly Peterson of Alexandria, VA, as well as nephews David Peterson and Richard and David Brooks, and nieces Jennifer Heatherington, Pamela Huebner and Nancy Brooks, and numerous grandnieces and grandnephews. Shirley was an avid reader, a master gardener, a fiber artist, and a dedicated hospital volunteer. 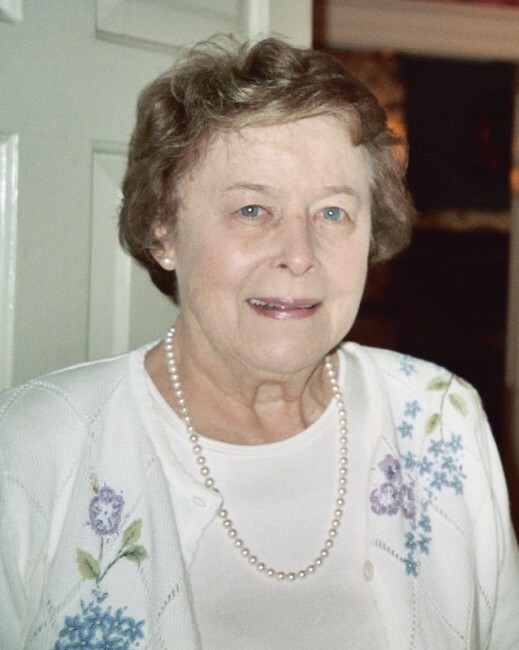 A memorial service will be held at Aldersgate United Methodist Church of Alexandria VA on Saturday, September 29, 2018 at 11 a.m. On Wednesday, October 10 at 9 a.m. a graveside ceremony will be conducted at Arlington National Cemetery, where she will be laid to rest with her husband, George. In lieu of flowers, donations may be made to the Hartwood Foundation.